Room on Double Sharing Basis, Daily Breakfast in Hotel Restaurant, One North Goa Sightseeing, One South Goa Sightseeing, Boat Cruise for 01 Hrs, Transfer & Sightseeing by Ac Innova Car, All Current Applicable Taxes. Any Domestic or International air fare, airport taxes, Insurance, personal nature of expenses like telephone, laundry, tip, camera fee or anything which is not mentioned in the inclusion column . Any fuel hike or any other taxes imposed by government of India later on same will be applicable. Pickup from airport Transfer to Hotel and Check in. Rest of the day you can spend to relax on the beach or have fun with the water sports and other activities conducted on the beach. Late evenings can be spend at the nearest exotic restaurants enjoying its wonderful cuisine. Or you can also spend you time partying at the worlds one of the best discos around the place. 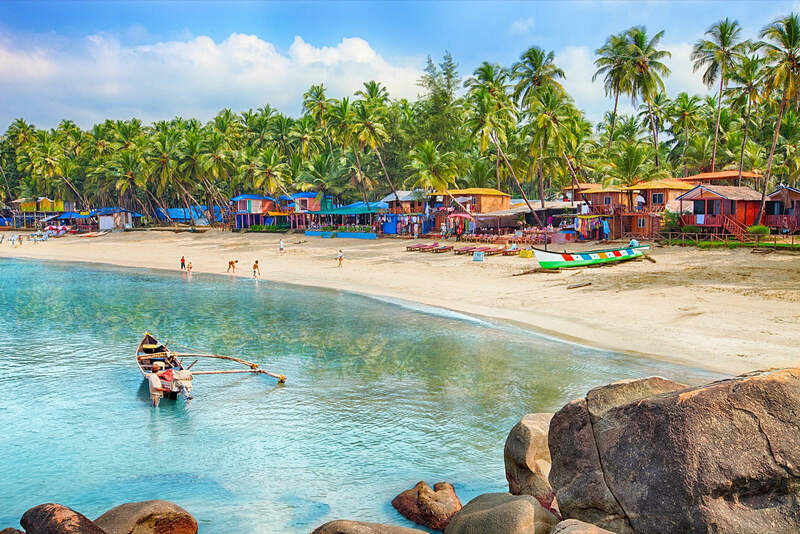 Full day Sightseeing of South Goa starting at 0930hrs and ending at 1830hrs This tour will cover Miramar Beach, Dona Paula Point, Old GoaChurch Complex, Mangueshi Temple. Overnight at hotel. Full day tour of North Goa starting at 0930hrs and ending at 1730hrs This tour will cover Fort Aguada, Calangute, Anjuna and Vagator beaches and will return via Mapusa. Overnight at hotel. After breakfast check-out from the hotel drive to airport. its customers the 'Best Price Guarantee' on international Domestic tour package. This offer from adieuholidays.com is the first of its kind in the industry, which comes without a limited travel date. Global Affairs considers the wellbeing and security of adieu holidays explorers of basic significance. The following are some broad tips, just as an assortment of accommodating wellbeing and security assets, to help you in excursion arranging. adieu holidays makes them flabbergast choice that not very many travel organizations do equity to completely, remote trade. The costs the offer are splendid and you won't end up whine about any of it whatsoever. travel rules and strategies for workforce, staff, and different people going for the benefit of the University (for example meeting participation, proficient improvement, understudy trips, and so on.). Welcome to Adieu holidays Pvt. Ltd. the world of travel. Just as we had touched the pinnacle of success with innovation in every possible facet of travel and were thinking of what more can be achieved, destiny presented us with the golden opportunity to explore newer avenues in tourism. © 2015 Adieu Holidays Pvt Ltd. All rights reserved.